when it comes to career or subject selection? Your minds start vibrating and get confused between many opinions. these opinions are from parents, friends family members and other people from your life. How these opinions effects you? 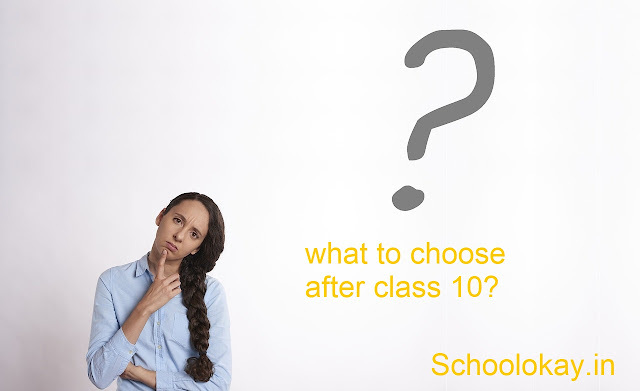 what to choose after class 10? some of you may have the concern that this post is as similar to other, obviously not! what kind of problems you actually face after your 10th? basically, students face 3 simple problems? 1.what friends are taking after 10th? but guys it doesn't really work in life, friendship very different from your career. because you can not always choose your friend in your life. so schoolokay is totally advising you do not be a friend fool. all friends will be left behind after a few years only a few will be always there for you. 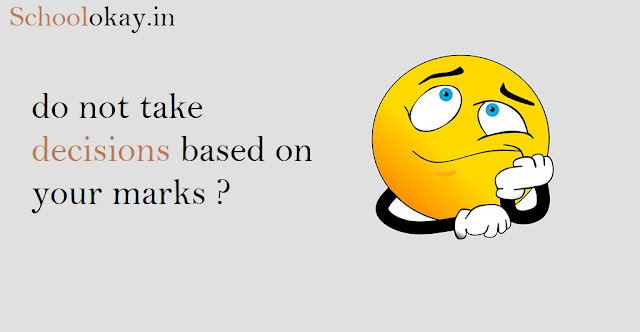 so do not choose the subject that your friend is choosing if you do not like that subject. only take subjects of your choice. because after some time you will not be allowed to change your subjects. 2.Parents opinion on selecting subjects after 10? our parents have the hopes for us and they want us to take their son should succeed. but, we don't want to take that subject. How should we deal with our parents after 10th? if you are taking subjects of your parents choice than you always going to blame them for all your failures in life. it's like shooting the aim by putting the gun on others shoulders, so according take a stand and convince them that you want that particular subject. just break that chain guys do whatever you love to do. 3. How marks affect your subject selection after 10th? here you have to compromise, from schoolokay it's a piece of clear advice you must score high in class 10th. you may come across questions like what after 10? career guidance after 10th? career options after class 10? we are considering all of them in this. some you of you might take a wrong decision on the level of info you have got from your seniors or other sources as well. all have equal scope only it's up to you that where you view yourself. 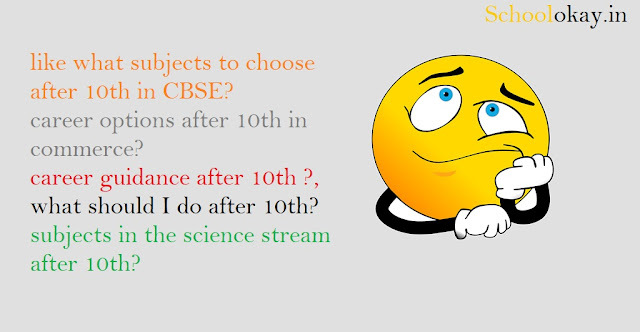 most of the students don't even know about, what they will need to do after their class 10? so it's quite tricky to choose the correct subjects for yourself. Choosing subjects for yourself after 10th class assigns deal with your parents, they want (beta app ye karoge). we are like I don't wanna do that and you got yourself into a conflict of choice and these all things make you more confused and depressed. one must have a proper plan and the guidance before taking any step, there is a lot of course out there it's your choice which one you select for yourself. 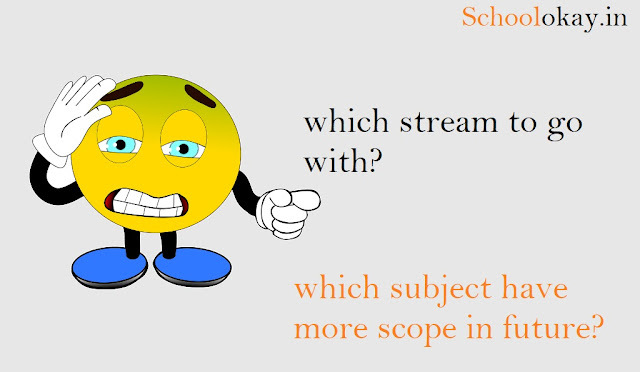 all above subjects hold equal importance and scopes as well. It's very important to have the right career guidance after 10th, whatever you are choosing is definitely going to affect your future. When you choose any subjects after your class 10 just only by knowing it's scope, then you might end up by taking the wrong decision in life. Don't carry the wrong mentality? I have seen students with a mentality that science is the better stream and those who score higher marks can go with science after class 10.
science is king, commerce is queen and arts is clone lol, don't think that stupid ok. The problem's after taking the wrong decision after 10th. physics is killing my mind, math is killing, I don't understand the way of teaching of chemistry? what should I do now? 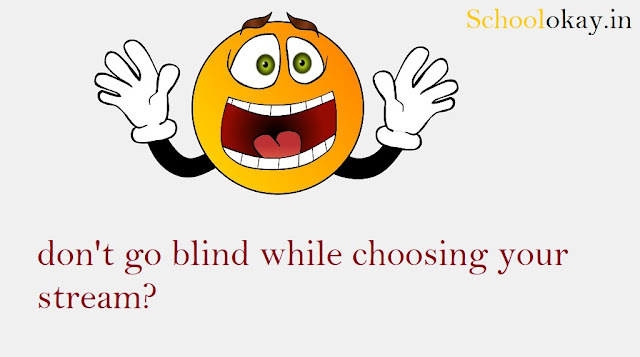 I have seen students crying by holding their heads, so schoolokay hopes that you will take the right decision for yourself. its very simple to say do what you like to do and have the courage to stand for your life. you can also ask questions from me on quora pushpender-11 quora profile link. we are working at schoolokay to provide you support for your school and class 10 and class 9 and other classes as well. help schoolokay by suggesting your problems and issues, we will help you out for your school-related problems and in choosing subjects.